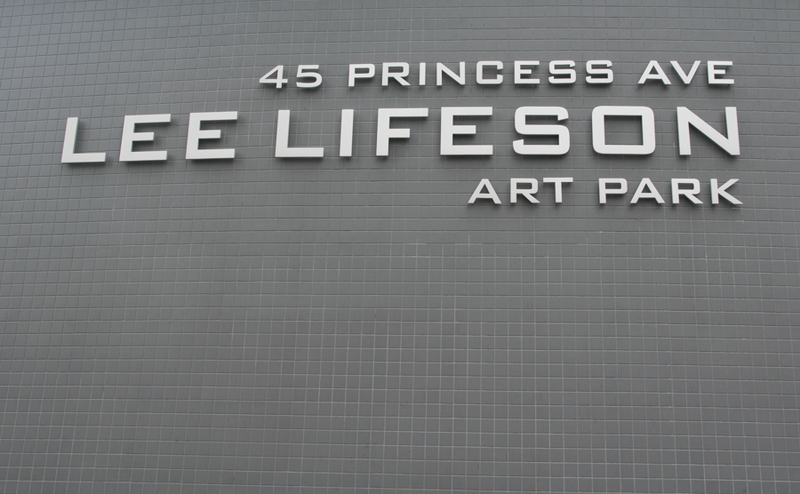 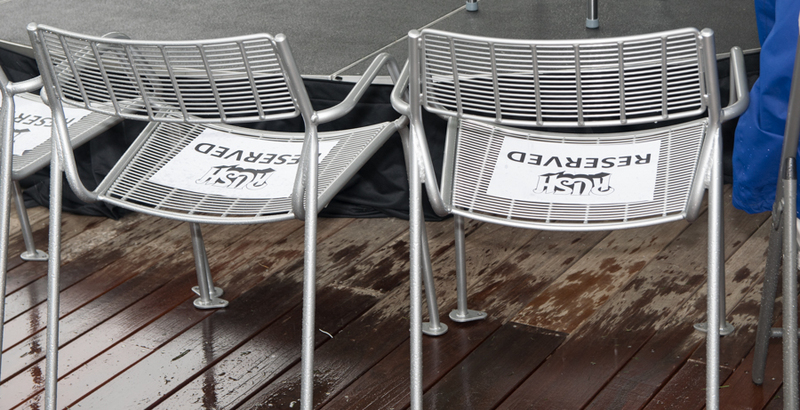 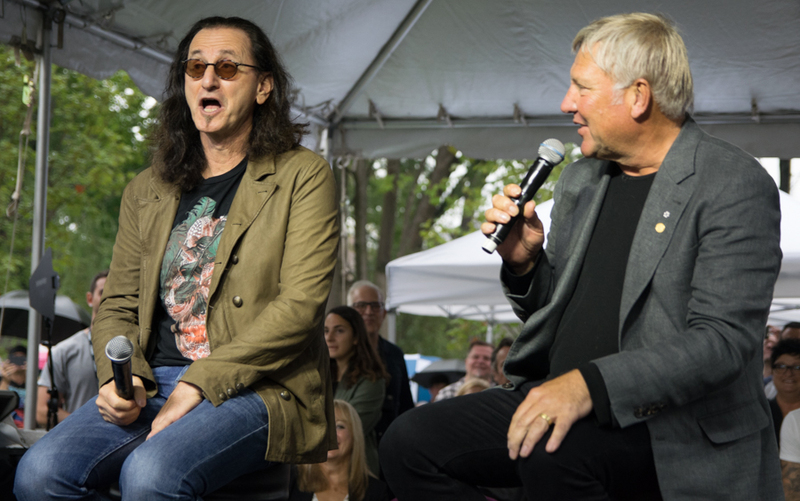 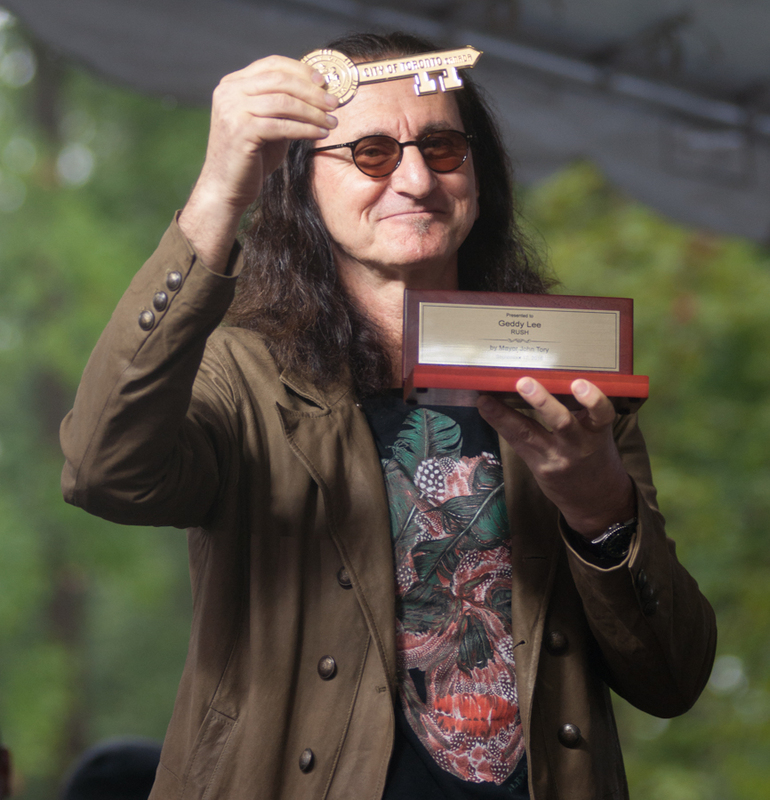 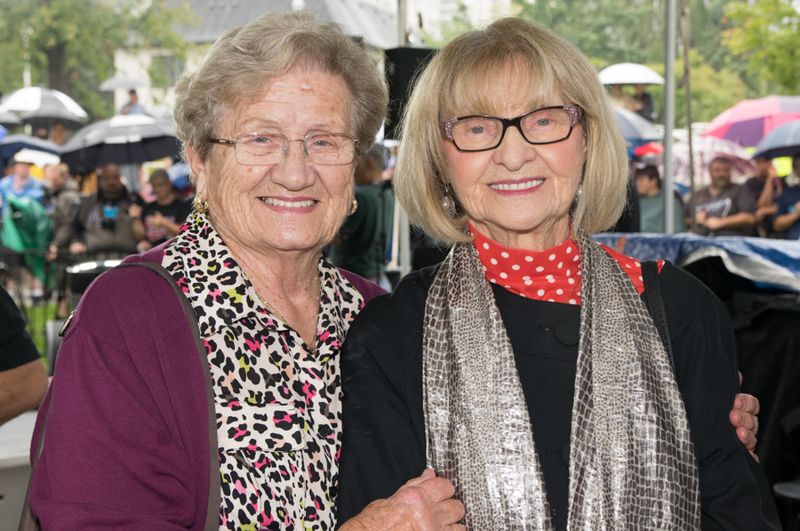 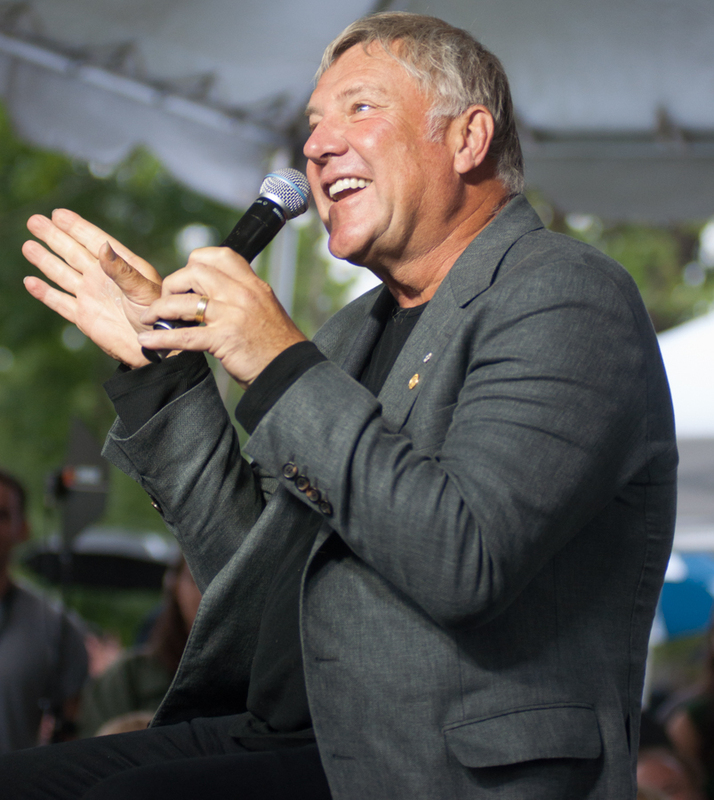 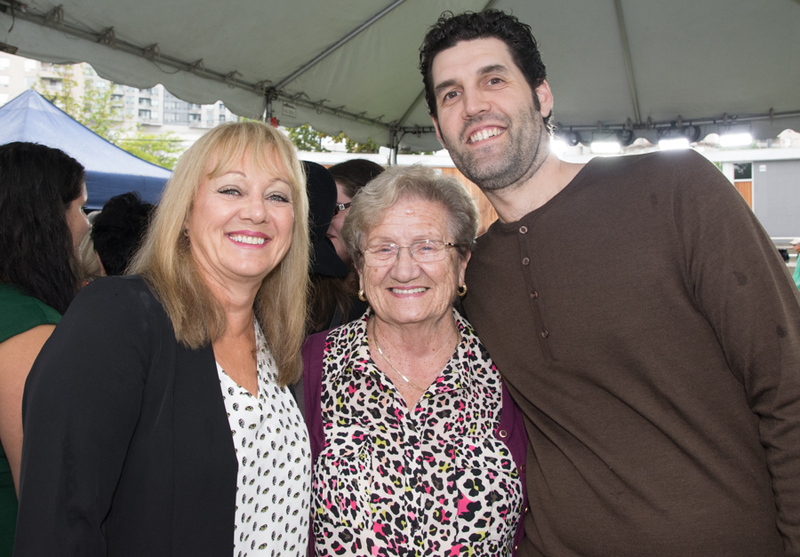 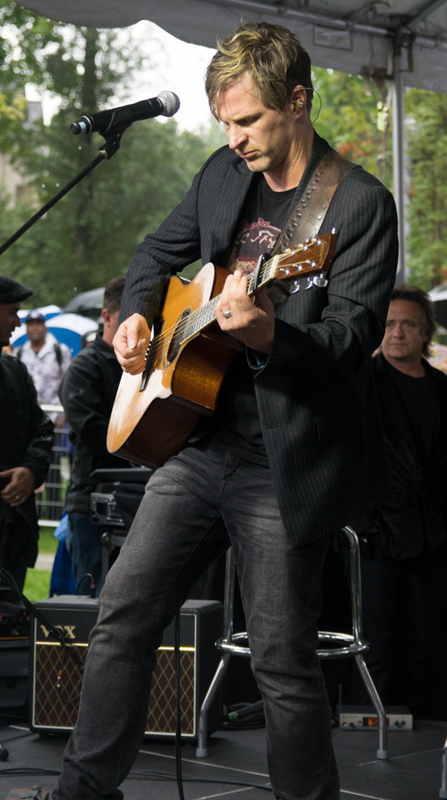 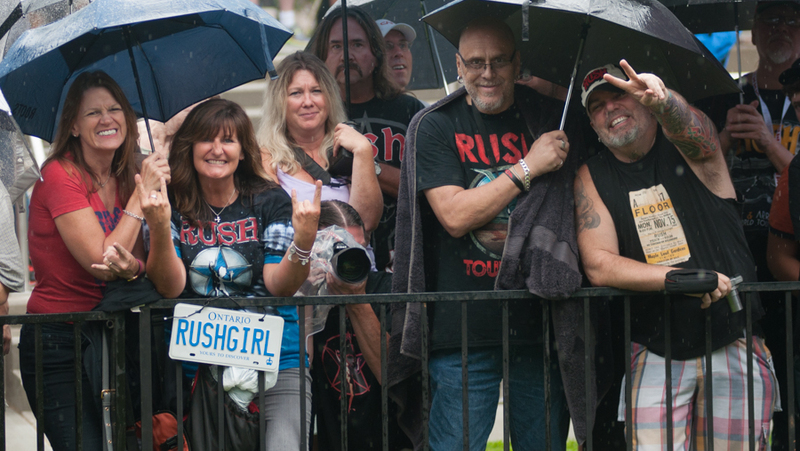 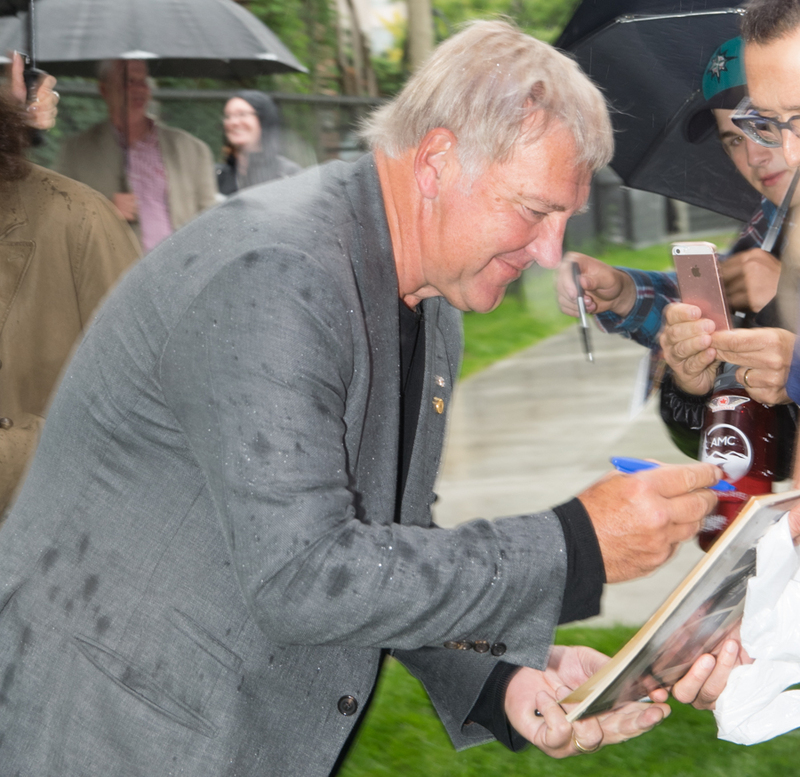 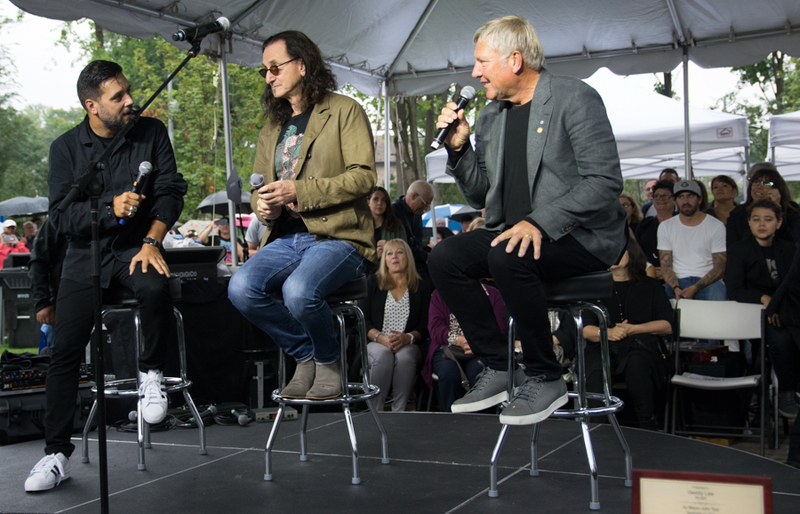 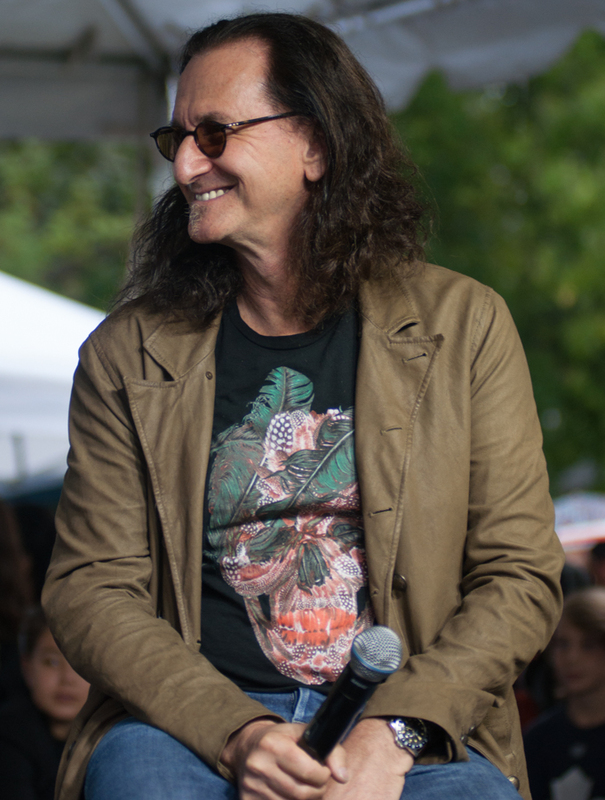 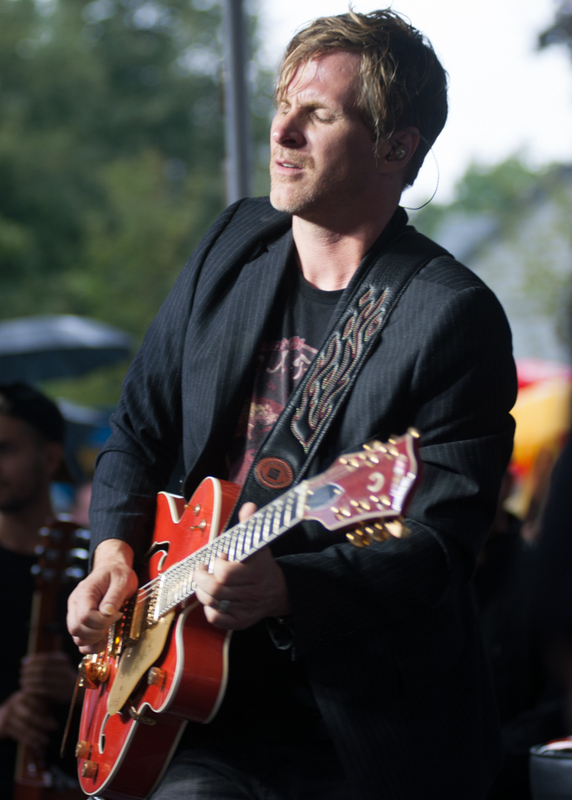 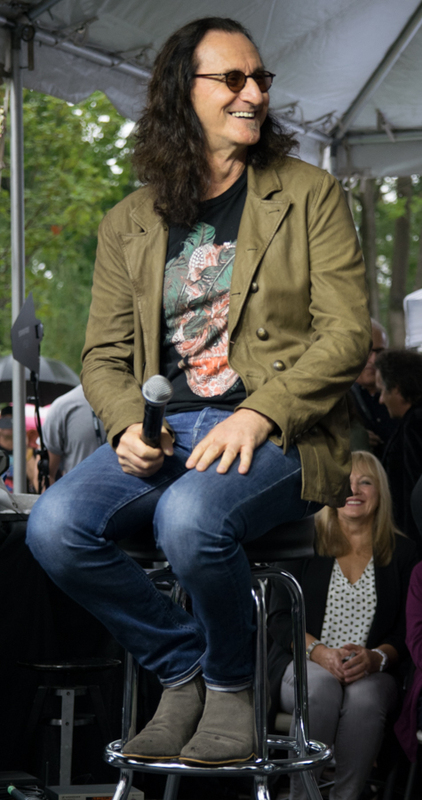 Several hundred loyal RUSH fans braved the rather wet conditions and gathered around the stage for the opening of the Lee-Lifeson Art Park. 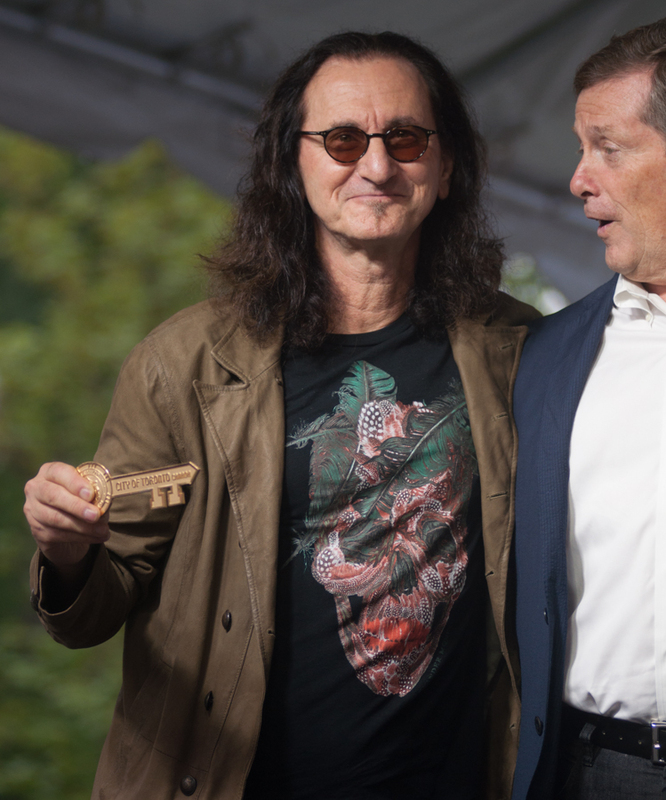 The park located appropriately enough in Willowdale, where Alex and Geddy grew up and is part of the City of Toronto. 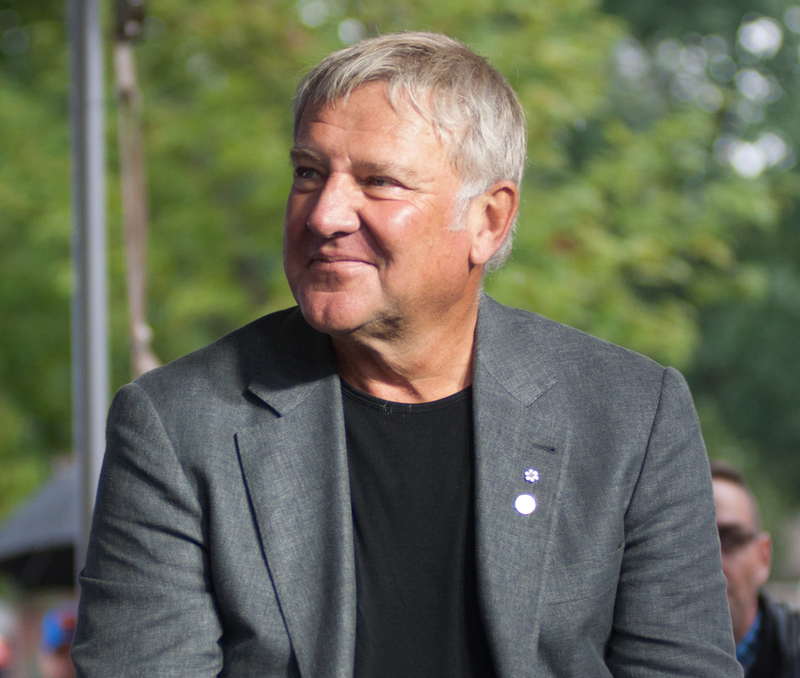 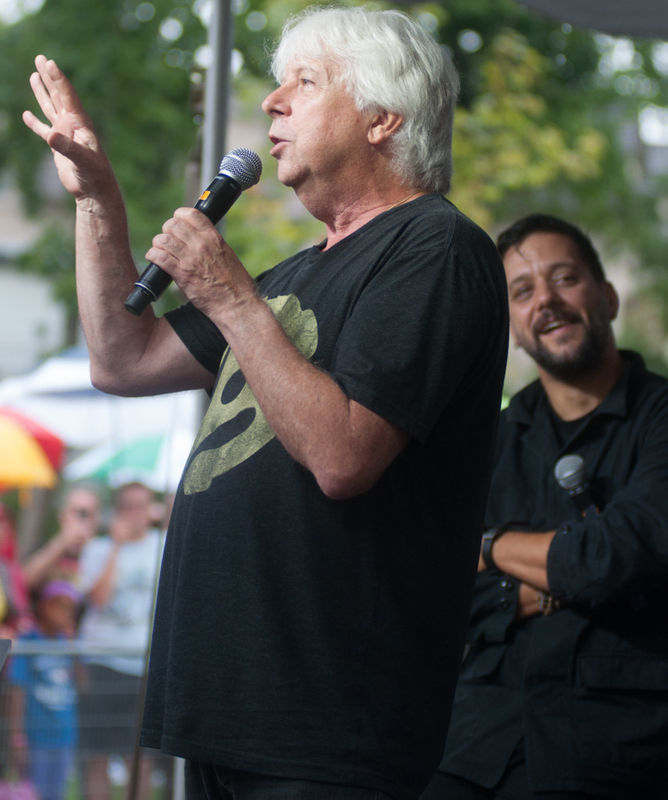 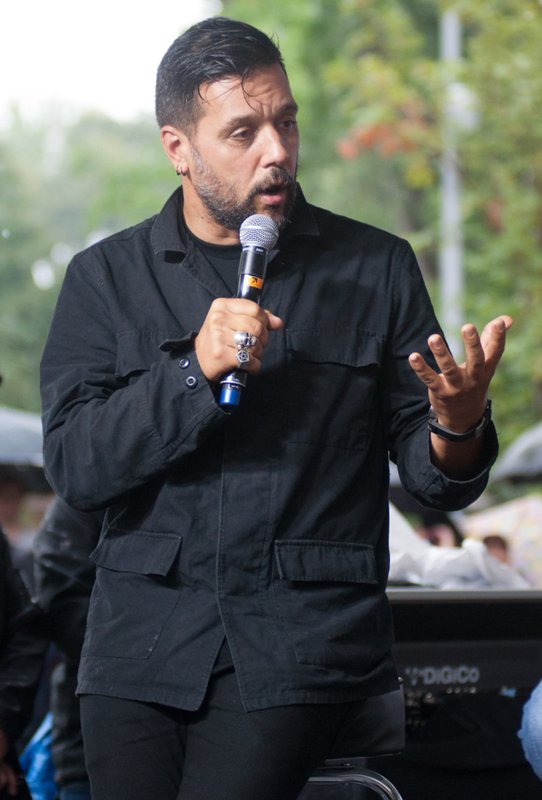 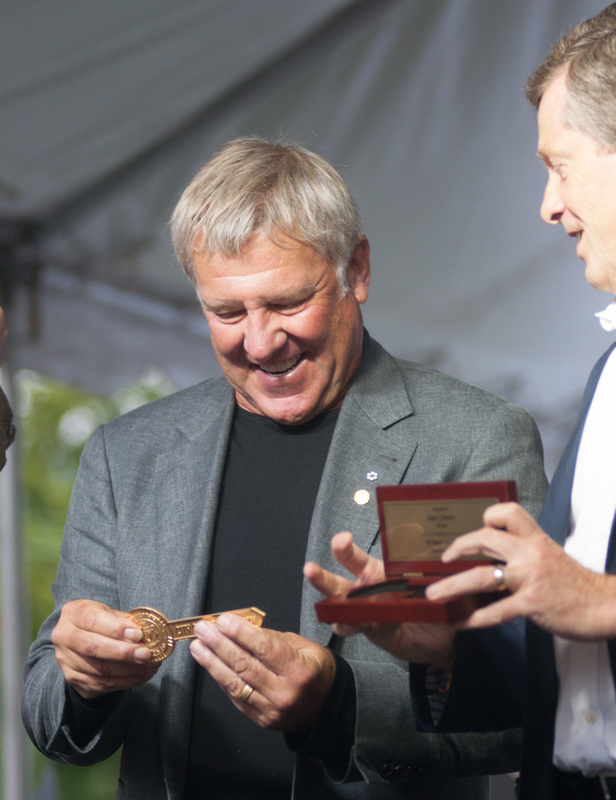 The park was conceived a few years ago and spearheaded by Ward 23 Councillor, John Fillion. 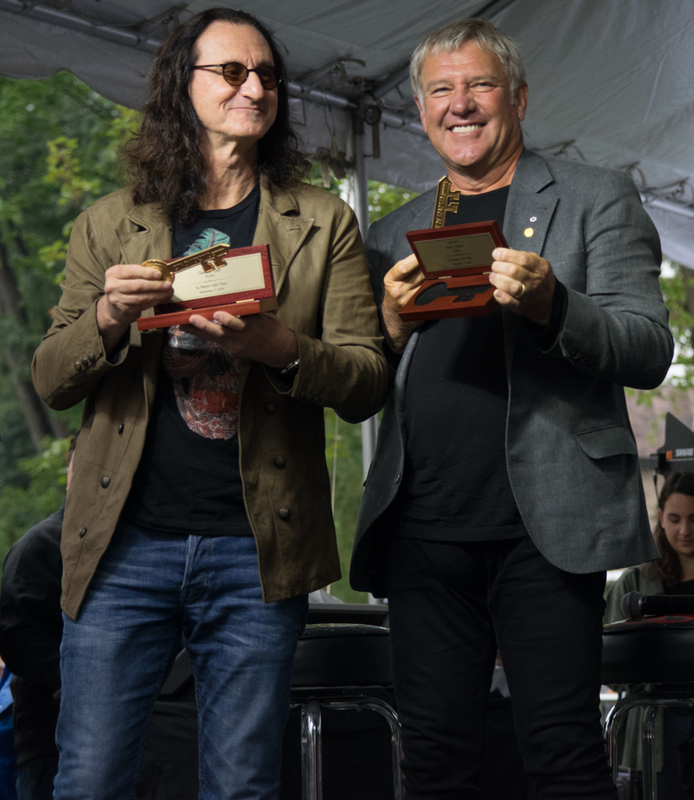 The ceremony was a bit delayed as Alex and Geddy in typical fashion stopped to sign items and take selfies with their fans. 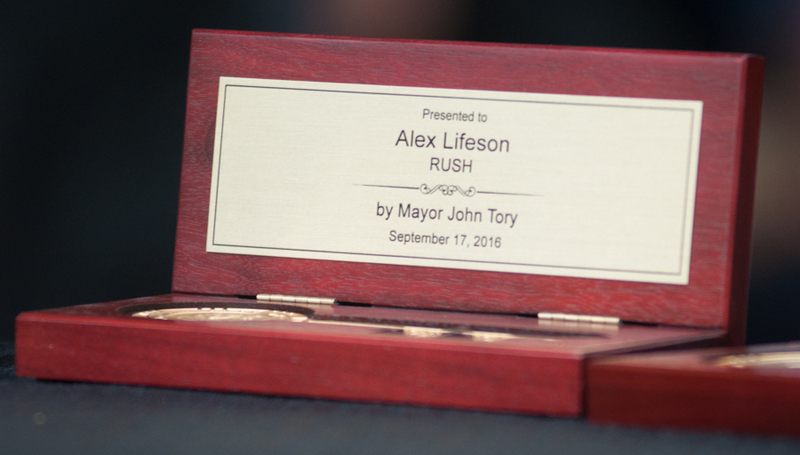 The ceremony started with Jacob Moon playing his now famous rendition of Subdivisions. 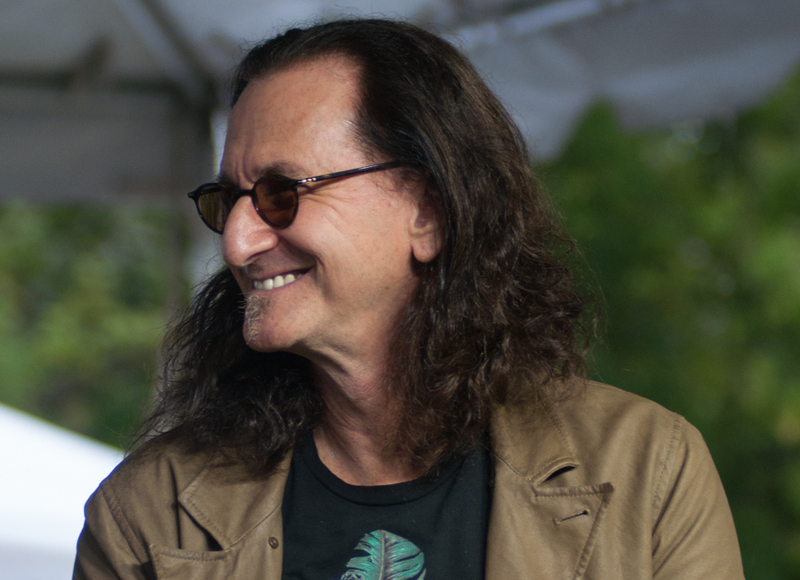 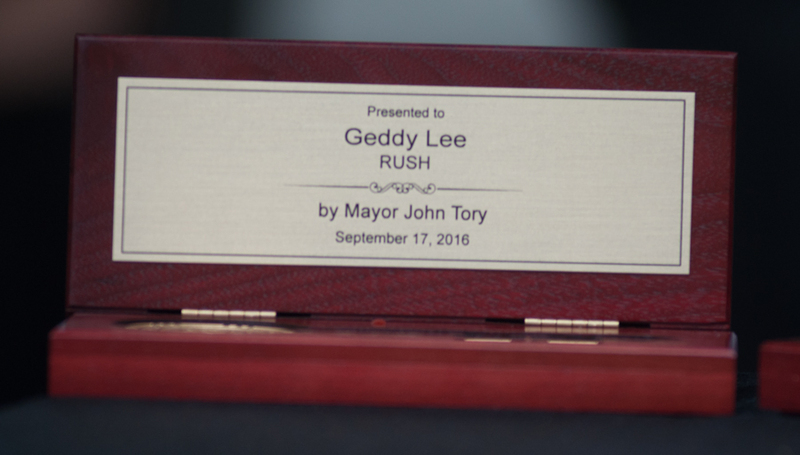 This was well received by those in attendance especially Geddy’s mother who was clapping and singing along with song. 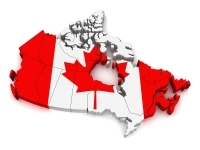 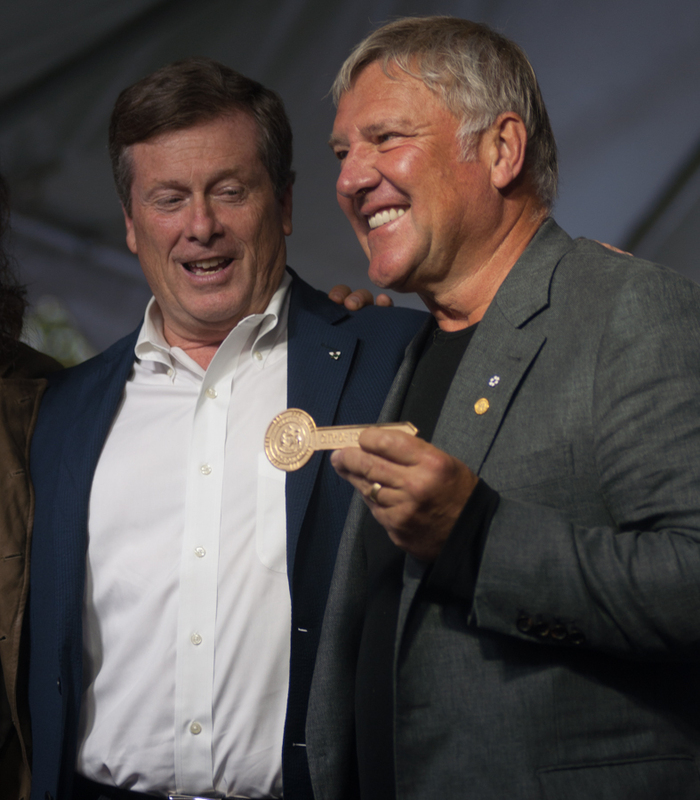 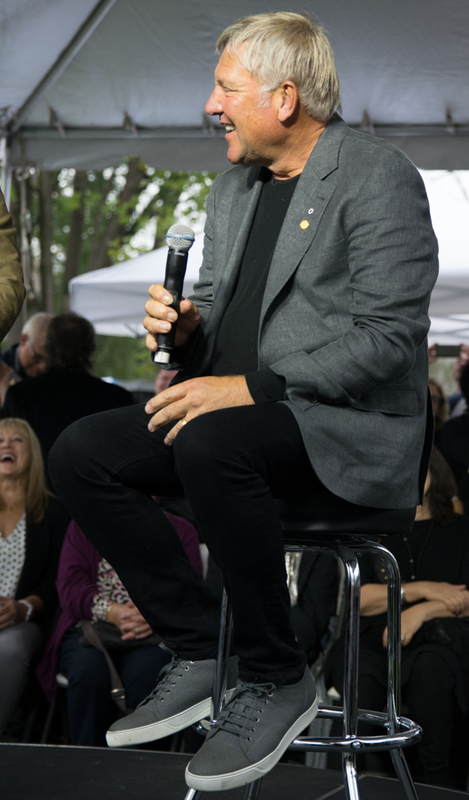 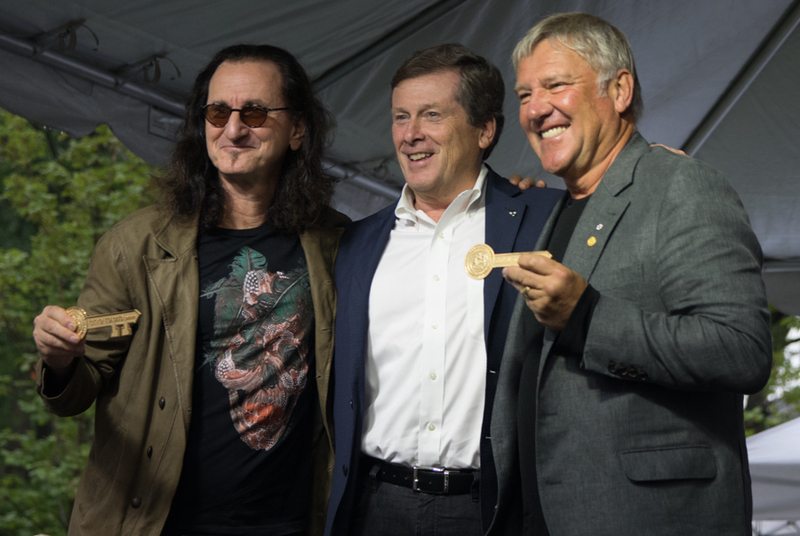 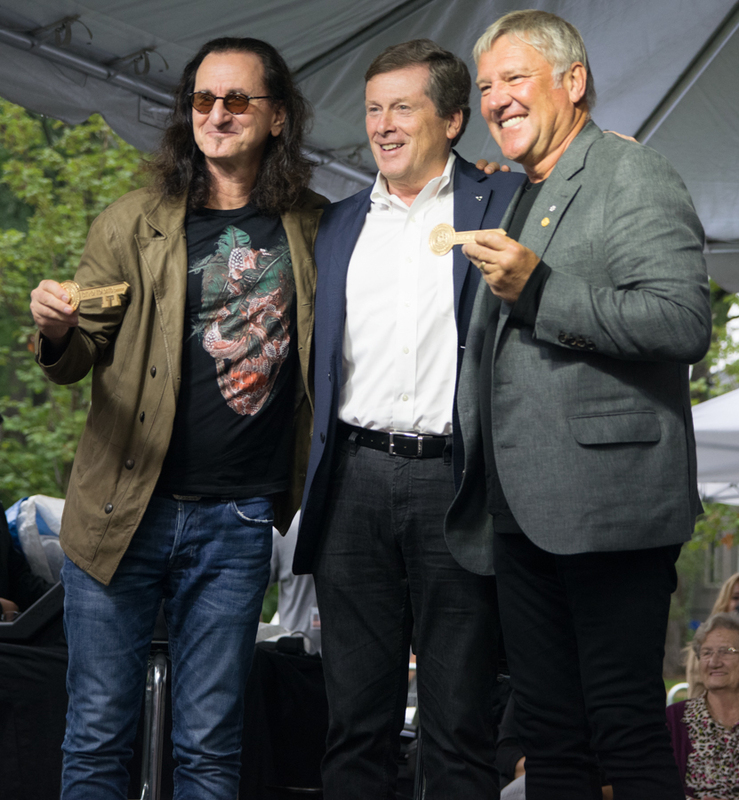 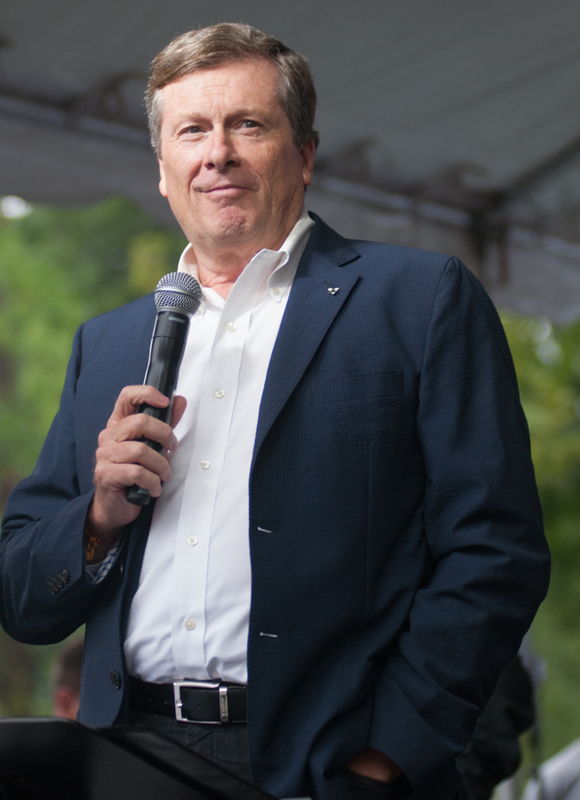 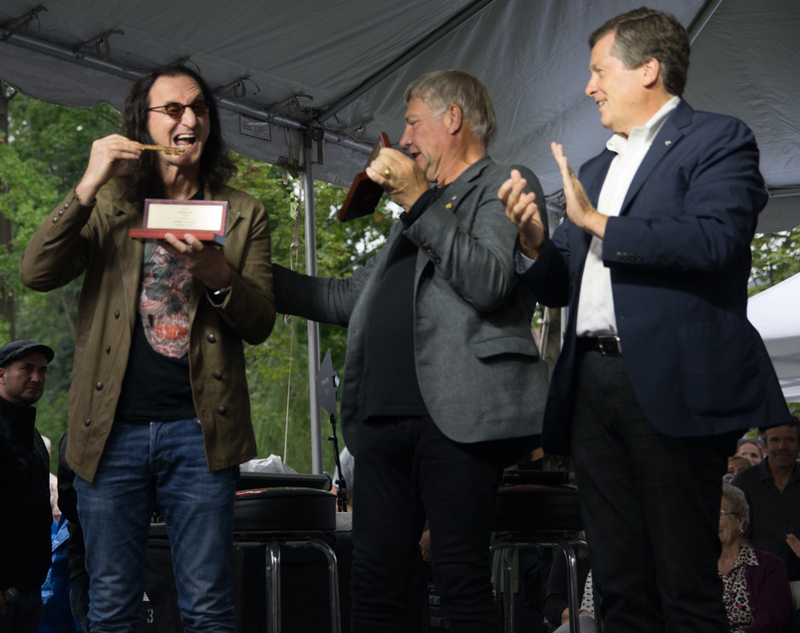 Toronto Mayor John Tory joked that it took him all of two seconds to decide to honour RUSH with the Key to the City as it took a lot longer to confirm and develop the actual Art Park! 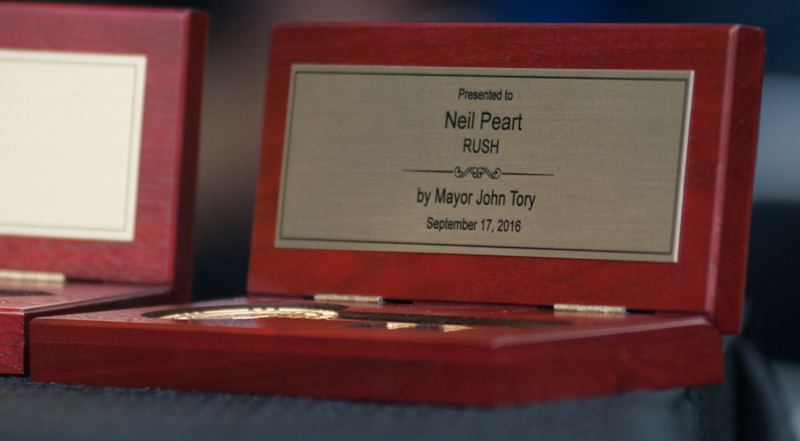 Who Could These Be For? 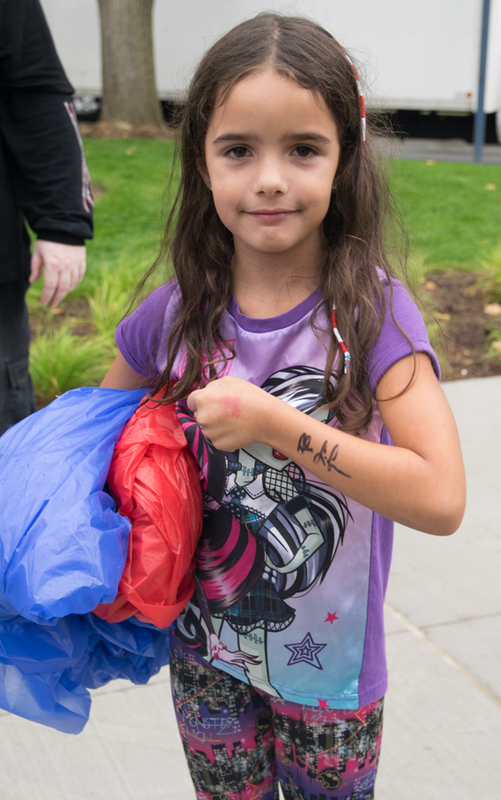 A young and happy Alex Lifeson fan! 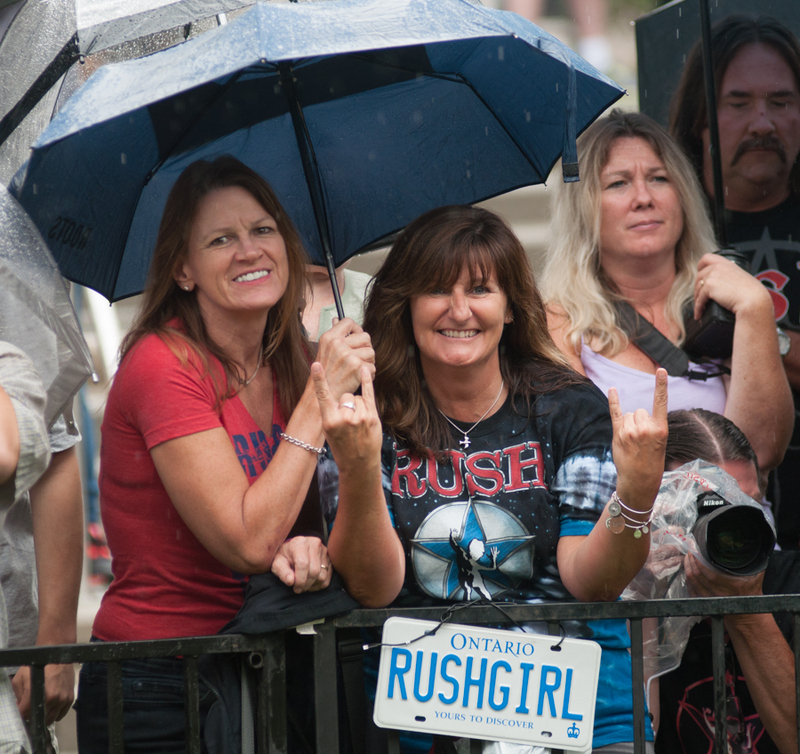 A huge thank you to these lovely ladies, without their sons there would not have been a band called RUSH!